This innovative method is a practical approach to playing the drumset. Students start their first lesson by actually playing a beat! The book is divided into two sections: Rock and Jazz. 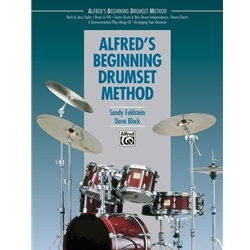 Students will learn how the hi-hat, ride cymbal, snare, and bass drum are used in each style. A play-along CD corresponding to the drum charts is available separately.